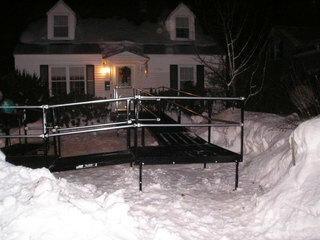 Wheelchair Ramps & More in Toronto, Mississauga, Brampton, Pickering, Oakville, Vaughan, Milton and Georgetown. 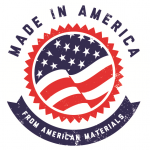 Amramp now proudly carries an expanded line of accessibility equipment, including portable ramps (and rentals! ), portable roll-in showers, threshold and entry ramps, grab bars, wireless alert devices and more. Call or submit the form for more information. Amramp's durable, non-skid, steel mesh platform allows snow and moisture to pass through to prevent puddles, mold or ice from forming. 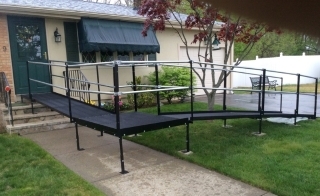 Amramp's modular ramps are free-standing and do not cause damage to buildings or property making Amramp great for providing access to historic buildings. 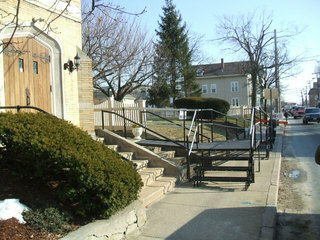 Amramp provides accessibility for the front entrance of this home.